Computed Tomography (CT) is one of the significant research areas in the field of medical image analysis. As X-rays used in CT image reconstruction are harmful to the human body, it is necessary to reduce the X-ray dosage while also maintaining good quality of CT images. Since medical images have a natural sparsity, one can directly employ compressive sensing (CS) techniques to reconstruct the CT images. In CS, sensing matrices having low coherence (a measure providing correlation among columns) provide better image reconstruction. However, the sensing matrix constructed through the incomplete angular set of Radon projections typically possesses large coherence. 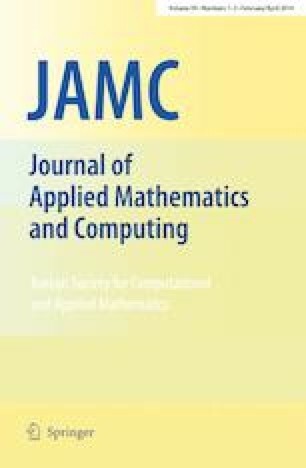 In this paper, we attempt to reduce the coherence of the sensing matrix via a square and invertible preconditioner possessing a small condition number, which is obtained through a convex optimization technique. The stated properties of our preconditioner imply that it can be used effectively even in noisy cases. We demonstrate empirically that the preconditioned sensing matrix yields better signal recovery than the original sensing matrix. The second and third authors are thankful to CSIR (No. 25(219)/13/EMR-II), Govt. of India, for its support. Prasad Theeda gratefully acknowledges the support being received from MHRD, Govt. of India.